If the anime is any indication, this will be an awesome entry for the Vita library. 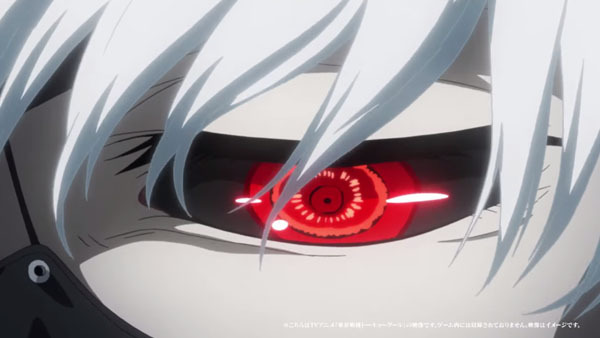 Bandai Namco's upcoming Tokyo Ghoul video game adaptation will be releasing on PS Vita, and it's known as Tokyo Ghoul: Jail. Pretty straightforward title, right? Unfortunately, it's likely this will not have a North American release unless a little birdie has more information than we do on it at the moment, but we do have a trailer to drool over, as shown above. Follow protagonist Rio as you make important decisions that will later shape the world of Tokyo Ghoul. Familiar characters from the anime and manga series will be in the game as well, and your decisions will alter which ending you receive in the end as well. The game's due out for a fall release in Japan, so hopefully a niche company will pick it up here to add to the Vita's anime-inspired game repertoire.